Today I was at my dad's house. We were picking green beans and he said he had a surprise for me. 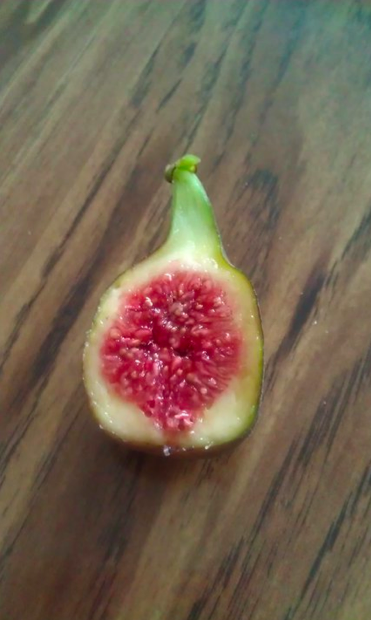 The first fig was ready for picking! Of course we shared it. It was so good. Tonight we had Steak and Green Beans (the ones I picked this afternoon). But I am having technical difficulties with my camera so.... no photos.